Mayayuiii shares this picture and gratitude for I’ve met so many good people that I treasure as a true friend and call as my family and for sure I will meet some more. Just do your best and do things that makes you happy. And don’t ever let anything or stupid people pull you down. No matter where you go there will be things and people who will try to put you down. Remember you attract what you put out – so surround yourself with positive people and the positive vibes will thrive. Maya is sharing positive vibes from the Philippines where will you share yours from? The January posts have focused on being thankful for the people/organizations who help us skate. This post is about one skater girls courage to fight back through a debilitating illness and skateboard again. I take my health for granted – finding out about Nikki’s story makes me realize how thankful I am for my health. Nikki has CRPS Complex Regional Pain Syndrome. She was diagnosed with CRPS following a car accident in January of last year It resides in 75% of her body, affecting mostly her hips/pelvis and legs..
Nikki does daily treatments while being a mom. On Instagram she’s rehabiliskate_crpswarrior. 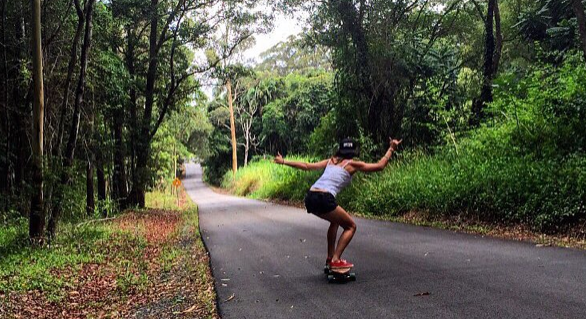 She was diagnosed 3 weeks before she was going to launch her longboard brand “bohoboard”. 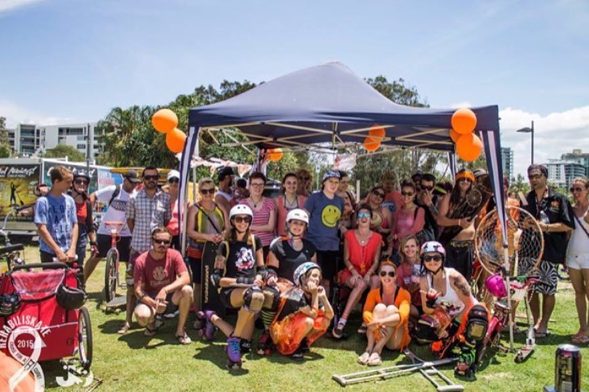 She was told her future was a wheelchair, but she didn’t accept that future – instead she choose to rehabilitate herself to skate again ~ Rehabiliskate. Her goal is to turn Rehabiliskate into a school for those with adrenaline souls and disabled bodies ~ do events, fundraisers, jam nights, competitions, yoga on a board competitions, CRPS awareness nights, help the youth, teach skateboarding, the list is endless but I want to do it for the kids that don’t have a voice, the helpless ones who just want to belong somewhere too. CRPS has made her understand the ins and outs of living with a disability/chronic illness, my soul is aching to be free again, almost like I’m stuck in a body I don’t want to be in, but I have no choice but to become more of what God handed me. She believes Life isn’t always fair, but the possibilities are endless when we learn to adapt to our circumstances. I’m grateful for being able to share Nikki’s story and I know it’s a story that is just beginning and will have many wonderful chapters. 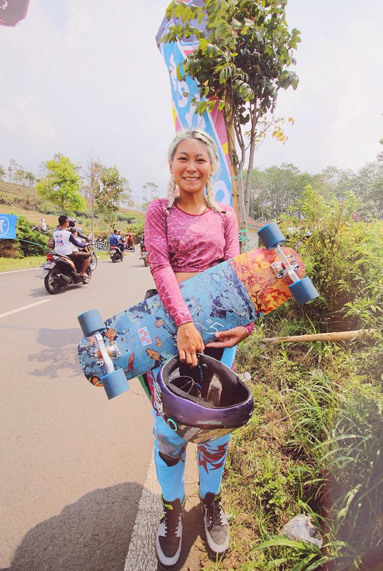 Thank you Nikki – I love your style on and off the skateboard!